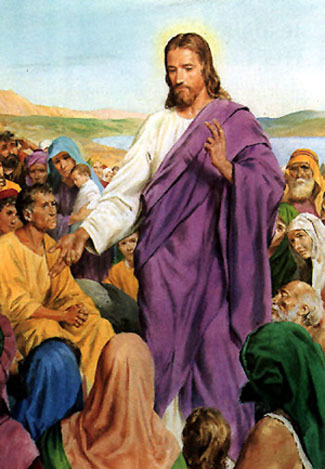 Jesus teaching others not to swear. Again, ye have heard that it hath been said by them of old time, Thou shalt not forswear thyself, but shalt perform unto the Lord thine oaths: But I say unto you, Swear not at all; neither by heaven; for it is God's throne:Nor by the earth; for it is his footstool: neither by Jerusalem; for it is the city of the great King. Neither shalt thou swear by thy head, because thou canst not make one hair white or black. But let your communication be, Yea, yea; Nay, nay: for whatsoever is more than these cometh of evil. Do not make promises you cannot keep, especially to the Lord.